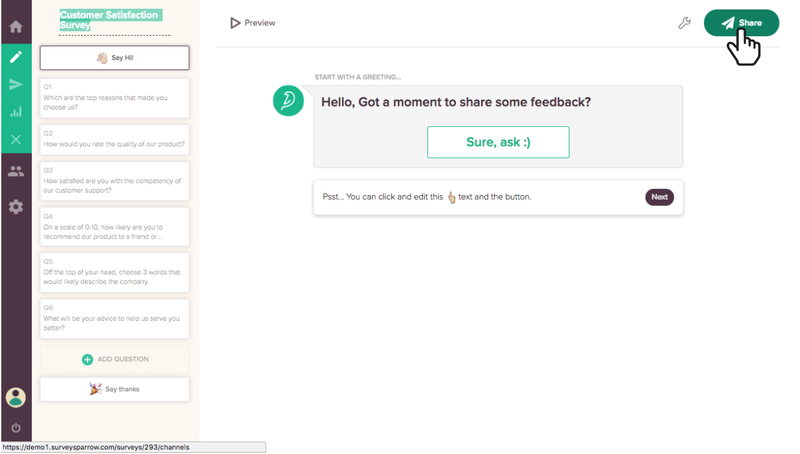 After creating your survey, click on the SHARE icon located at the right-hand corner of the builder page. 2. Upon clicking the SHARE icon, you will be directed to the share survey page. 3. Here, you will find the various channel options like email, web link and social share. Choose your preferred channel(s) to share your survey. 5. If you wish to create a new distribution channel, click on New Share icon located on the right-hand corner of the share page.